Skilled Chicago post decree modification attorney. The divorce process in Illinois, as in other states, results in a final divorce decree or order. Before the divorce is finalized, both parties are expected to work together to resolve disputes and come to an agreement as to the final result. 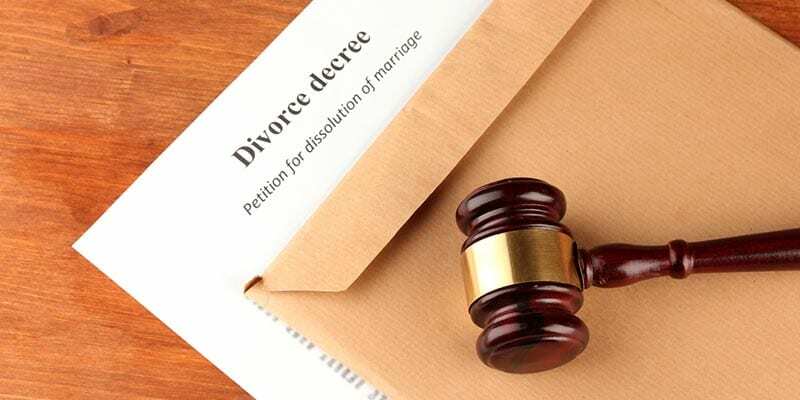 Once put into place, a divorce decree can only be changed through a legal modification process. There are many reasons why a change may be necessary. If changes are needed it is best to discuss the matter with an experienced Chicago post decree modification attorney as soon as possible. The Chicago post decree modification attorneys at Johnson & Johnson, Ltd. are proficient in all family law and complex divorce matters including modifications after the divorce has been finalized. Our Chicago post decree modification attorneys protect your best interests and bring our years of expertise to the table when we represent your case. All requested modifications must be supported or they will not be approved. Changes to some items, such as asset distribution, are rarely allowed. Only in instances where fraud or criminal activity can be proven will they usually be considered. Modifications to child support, child custody, visitation, and alimony are more common and may be easier to have changed. Because changes are often complex it is advisable to seek assistance from a reputable Chicago post decree modification attorney. Your Chicago post decree modification attorney will review your case and provide you with the best options available. Your Chicago post decree modification attorney will inform you that the most common type of modifications are those to orders regarding child custody, child support, or child visitation. It is likely that circumstances may change after a divorce, particularly if the children are young when the divorce occurs. Parents may determine that the child would be better served by living primarily with the other parent. This may happen as children get older and have a preference for a change to living arrangements. When the primary residence of a child changes, support orders are impacted and must be changed as well. This is necessary because the non-residential parent typically provides child support. A Chicago post decree modification attorney understands how to resolve these issues and will help you make the changes that are warranted. Your Chicago post decree modification attorney will explain that child support is generally determined by taking into account various factors such as the income of the parents and the number and ages of the minor children. Sometimes the income of the parent providing child support may significantly change, warranting a modification to the child support order. When the parent has received a substantial raise in salary, the child may be entitled to a larger monthly support check. Alternately, if the parent loses his job or his income takes a large dip, he or she may want to reduce the payments accordingly. The courts are required to use child support guidelines and change requests must be properly substantiated in order to be approved. A Chicago post decree modification attorney will help you determine whether your case is eligible for review, and, if so, will assist in getting a modification hearing. Your Chicago post decree modification attorney will inform you that alimony, also known as spousal support or maintenance, is money provided to a former spouse for either a specific time period or on a permanent basis. Generally, alimony comes to an end at a specified time or when a former spouse marries. Rehabilitative alimony is designed to provide support on an interim basis until one spouse is able to rejoin the workforce. Sometimes, this may take longer than first anticipated. If an extension to alimony is needed, it must be requested and granted through the court system via a modification. Other changes, such as to the amount of alimony, length of time for alimony payments to continue, or termination of alimony need to be done through the courts as well. A Chicago post decree modification attorney will review your needs, request a hearing, and provide legal representation throughout the modification process. It is important that you do not take matters into your own hands or make changes to the order without going through family court. A Chicago post decree modification attorney can help you with the process to make modifications to a divorce decree. First, you must be sure that you qualify for a possible modification. However, even though you meet the basic qualifications you may still not be granted a change. A hearing is set during which time both parties are able to hire a Chicago post decree modification attorney to help present their case. It is extremely helpful to have your Chicago post decree modification attorney present throughout the process to ensure a more successful outcome. The best results are almost always achieved when clients utilize a reputable Chicago post decree modification attorney rather than trying to go it alone. If you feel you need changes to a divorce decree that has already been issued it may not be too late. There are many reasons that are acceptable to allow for a court to review your request and make a ruling. The first step is to speak with a qualified Chicago post decree modification attorney who is experienced in modification proceedings. The process requires a hearing be scheduled which can be completed by your Chicago post decree modification attorney. Whether you need changes to a completed divorce decree or need to defend potential changes, the reputable Chicago post decree modification attorneys at Johnson & Johnson, Ltd. can help. We provide high quality legal services for all types of pre and post decree divorce actions. Contact the legal team at Johnson & Johnson, Ltd. to talk to a Chicago post decree modification attorney today.